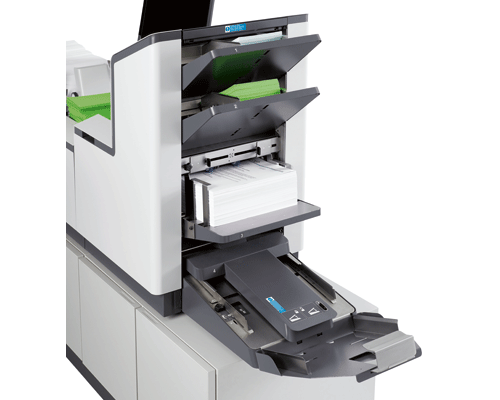 Formax 7202 Series Inserters combine user-friendly innovation with flexibility and productivity. 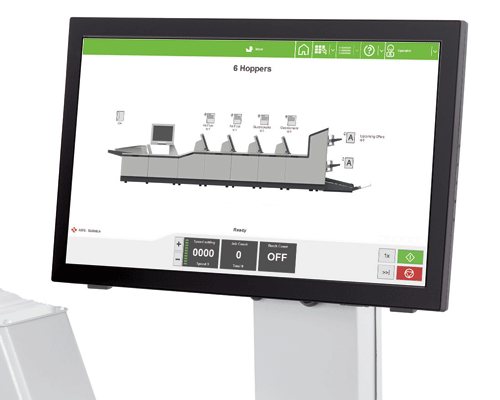 A key feature is the 22” color touchscreen interface, which guides users through job set-up, and includes context-sensitive help on every screen. Unlimited programmable jobs lead to even greater productivity. 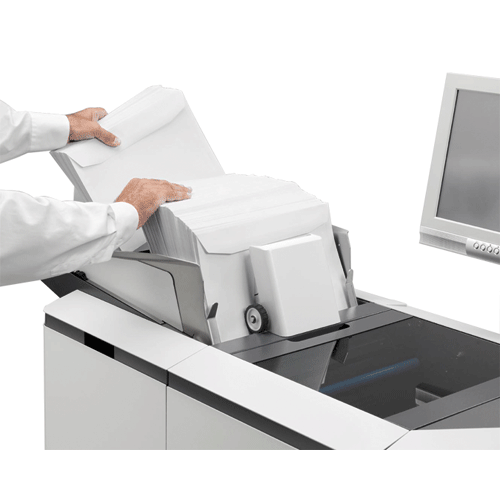 The 7202 Series has the power to process up to 5,000 envelopes per hour, including flats up to 10” x 13”, folds up to 8 sheets at once, and produces up to 200,000 finished pieces per month. The modular design can be configured with up to 11 feed stations, with high-capacity feeders, and a standard capacity of up to 2,000 sheets. Versatile Feeders have been redesigned for easier loading on-the-fly, and offer the ability to insert a variety of media. 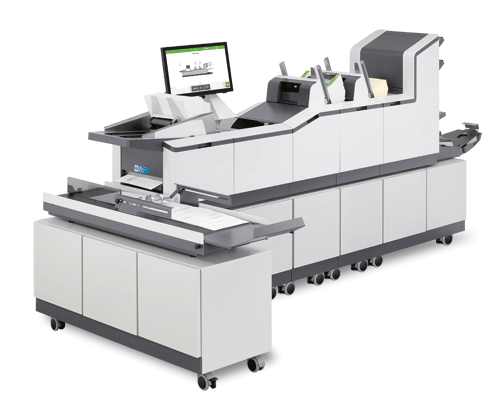 A variety of code reading options are available, including single and double CIS scanners to read both sides of an insert, allowing for face-up or face-down feeding. Single and Multi-Code Reading Licenses are also available to read 1-Track and 2-Track OMR, 1D Barcode, and 2D Data Matrix. The top-loading envelope hopper holds up to 800 #10 envelopes or 500 flats, in landscape orientation. Inserting into landscape flats offers higher processing speeds, fewer jams, and lower envelope costs. 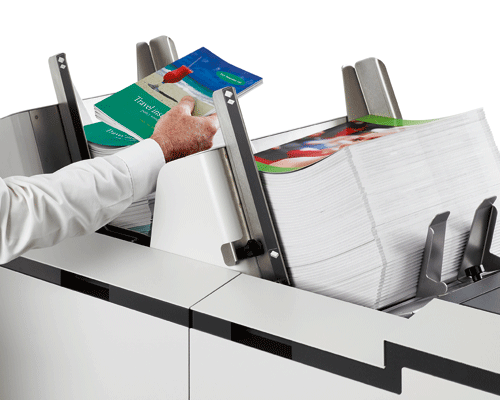 The 7202 Series inserts sets of up to 50 sheets into flats, and booklets up to 6mm thick. Standard features include a high-capacity 4-foot outfeed conveyor, which can be used in-line or at a 90° angle, an accumulator/divert deck which holds up to 300 sheets, and custom cabinets for sturdy, movable storage. Additional options include High-Capacity Versatile Feeders (with or without intelligence), an envelope sorter/diverter and two styles of catch tray. With a range of standard features, high capacity and intelligent design, the 7202 Series Inserters are set to take productivity to new levels.